Although it is not technically summer, the fact that the 12th annual Movies in the Park series kicked off yesterday makes it feel like the new season is in full swing. 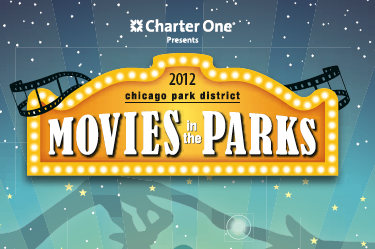 This series features 176 screenings of classic and current movies in 128 citywide parks! The series will last through October 26th so you will have plenty of opportunities to make it out with friends, family or a special date! Admission is free, and all movies will begin at dusk weather permitting. If you’re interested in the summer/fall schedule, please visit The Chicago Park District website here. Please enjoy Movies in the Park brought to you by a Lexington Homes preferred lender, Charter One Bank.